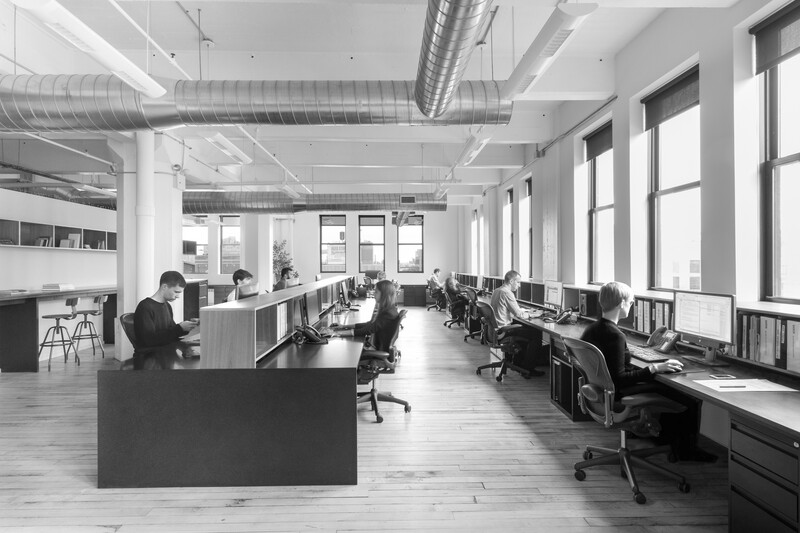 DELSON or SHERMAN ARCHITECTS PC is a Brooklyn design firm founded in 1999 by Perla Delson and Jeff Sherman. Widely published for its modern architectural additions to historic buildings, the firm’s diverse portfolio combines clean, understated detail with careful space planning. We have a reputation for innovative design, rigorous involvement during construction, and meticulous bid documents. But these are only means to our goal—spaces that support and inspire the people who use them. In place of a signature style, the firm focuses on the unique opportunities of each project. We address site-specific concerns with fresh ideas while incorporating proven solutions into new contexts. By coupling elegant modernism with traditional materials, our work has a sense of inevitability. Our designs feel as though they have always belonged to the site. We are good listeners. All of our projects begin with the needs of our clients, and our best work comes from a deep understanding of those needs. But our efforts are never one-dimensional; we see the design and construction process as inherently collaborative—with clients, with consultants, and with contractors. We marshal the expertise of our collaborators to ensure each project’s success.